iNERDE wrapped up it’s first-ever Colonie de Vacances STEM this past month. 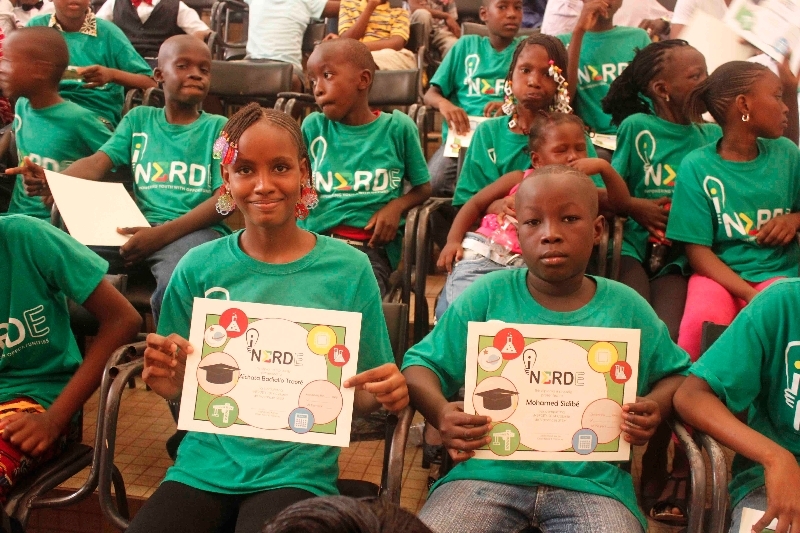 During our seventh week of activities, our nerds worked hard on their final projects. 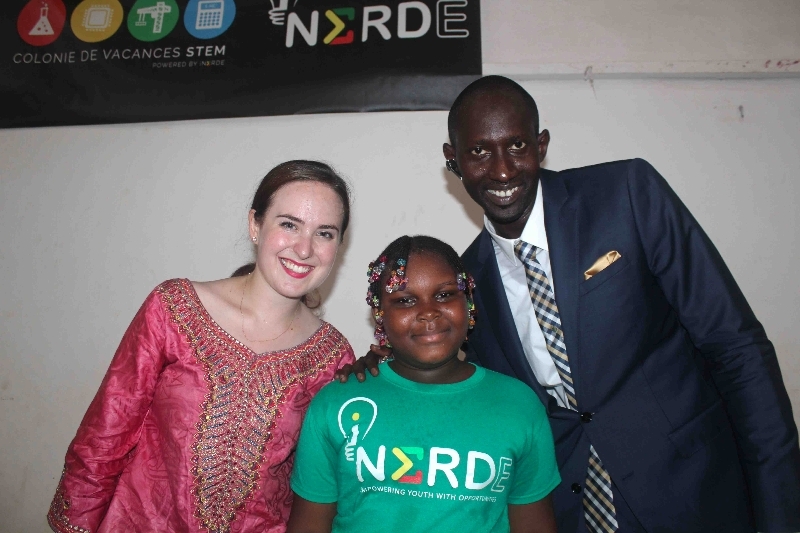 The focus was on finding ways to use STEM to address various issues in Mali. 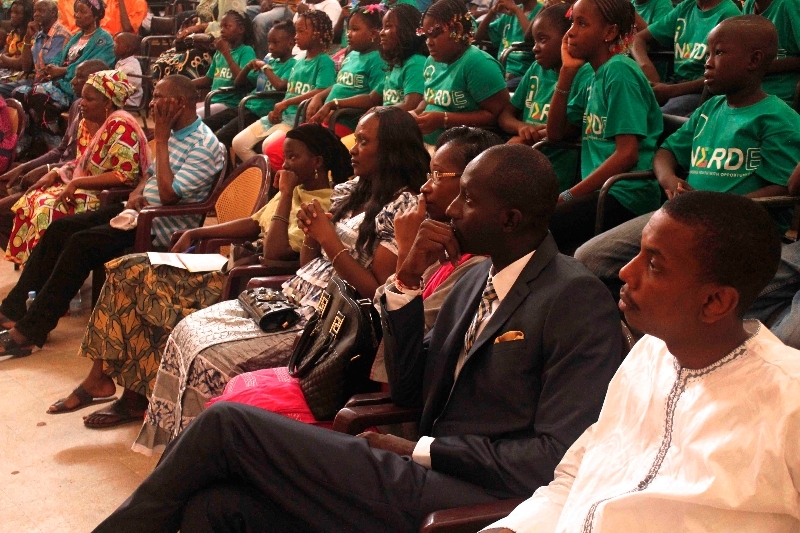 Our pilot project concluded with a graduation ceremony for all of our participants on Saturday, July 26th. Parents, friends, and supporters were invited to see what our nerds have accomplished in the past seven weeks of fun and learning. Thank you to all of our supporters – we couldn’t have done it without you! 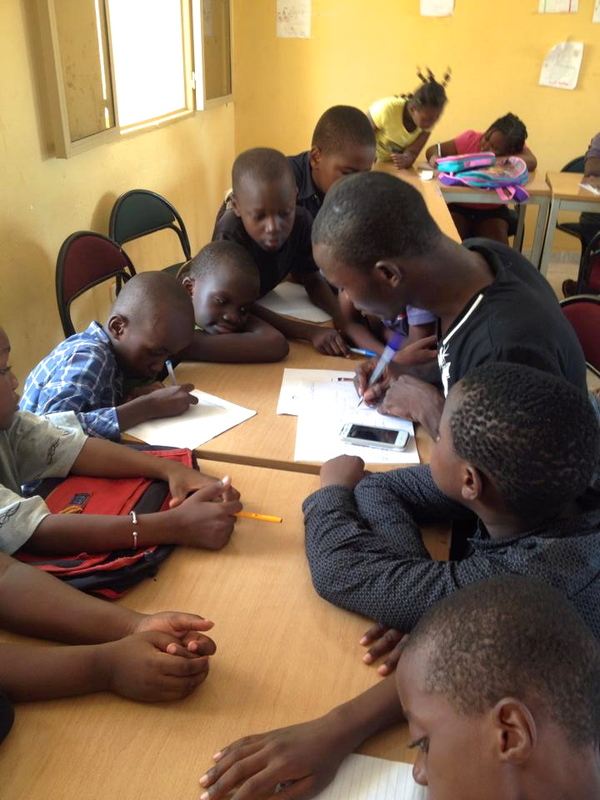 On Monday, the class broke into groups of two or three students to brainstorm about various problems in Malian society. They brought up water pollution, road regulation, the lack of classroom space and supplies in many regions of the country, and how the roads are littered with garbage. We also invited Dramane Coulibaly from the Macina region to come in and talk about the educational issues in his hometown. The teams then spent the rest of the week coming up with potential solutions to these problems and creating slideshow presentations to communicate their ideas. Four teams were chosen to present their final projects at graduation. 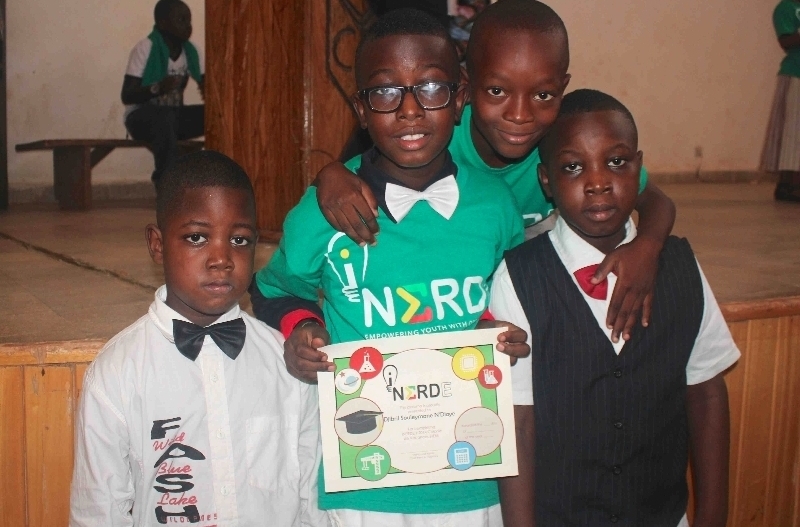 After seven weeks of our intensive science camp, it was finally time for the children to graduate. 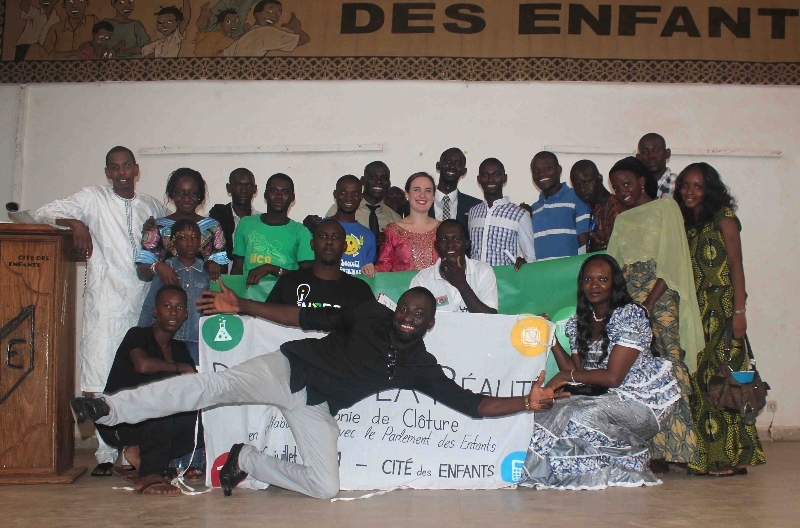 The ceremony took place at the Cité des Enfants in collaboration with the Parlement des Enfants du Mali. The ceremony was a smashing success with beaming parents watching proudly as their nervous children took the stage to accept their certificates. 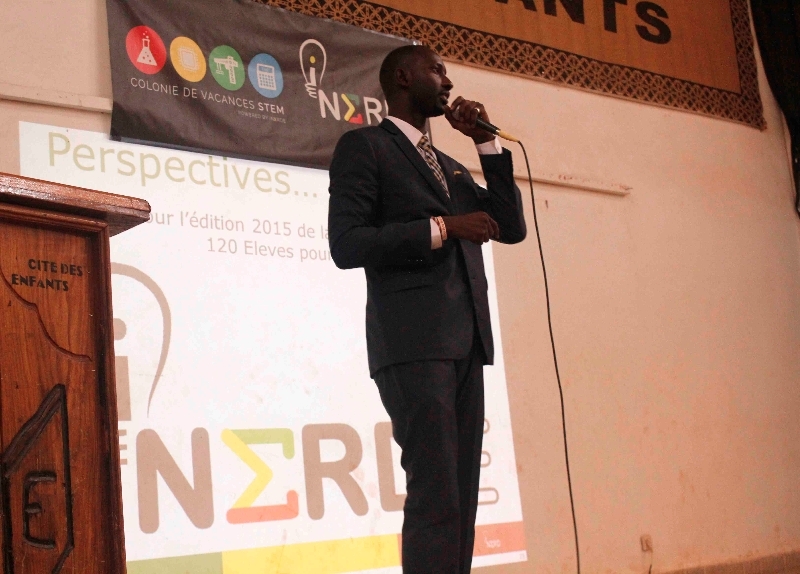 There were several presentations throughout the ceremony: Mohamed Kante, our Chief Nerd, spoke about iNERDE’s vision and mission, Empowerment Agent Rebecca Brosseau gave a summary of this year’s activities, and Christina, a participant in the Colonie de Vacances STEM shared her experience and aspirations to become a doctor. Words cannot describe the fulfillment of watching an idea become a reality, but this wouldn’t have been possible without the collaboration of a great team and the help of a great network of supporters. I am grateful to all the brilliant minds I have met within the different schools and universities who agreed to work with me. I am immensely grateful to all the brilliant people and candid conversations that inspired so many of the ideas that became iNERDE Inc. I want to especially thank all those people who have joined this cause and actively work to empower others by giving them opportunities. I am grateful for all the messages I have received, they are a reminder that it takes lots and lots of people, standing shoulder to shoulder, to have a real impact. I know that if enough of us work at it, we can help the youth in Africa have a great future by giving them the gift of education. Working with iNERDE so far has been a once in a lifetime opportunity for me. The kids were brilliant and incredibly motivated to learn about STEM. I want to personally extend thanks to everyone who believed in us and supported our vision. I know it’s quite cliché, but we really couldn’t have taken our idea to a reality without all of you. 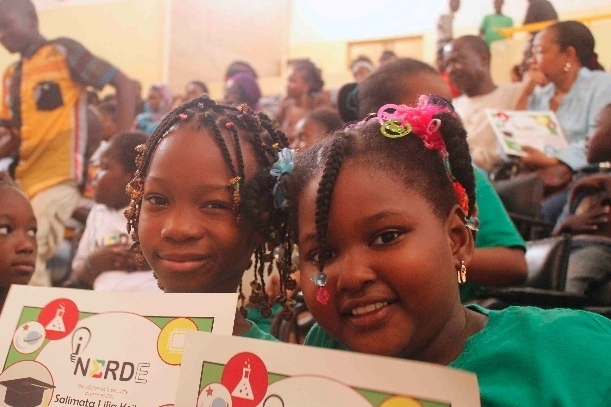 I would like to congratulate everyone who played a role in making this year’s Colonie de Vacances STEM possible because your contribution has transformed the lives of 30 young Malians. I had the privilege of seeing first hand how our approach to education could truly bring out the best in each student and help them find the confidence and awareness necessary to succeed. Their endless curiosity and ingenuity inspired the teaching staff and allowed us to push past our limits to bring them a quality of education that every child deserves. I have a very strong feeling that the lessons our students learned, not only about science and technology, but also about the values of teamwork and thinking outside the box, will stay with them and carry them far in their academic and professional careers. How would you describe iNERDE? "Magnificent. Majestic. Perfect. – Christina"
This year’s Colonie de Vacances STEM may have come to an end, but that doesn’t mean we’re done! The iNERDE team is busy evaluating this year’s pilot project and will be coming together from all parts of North America for our annual summit later this month to start planning next year’s activities. 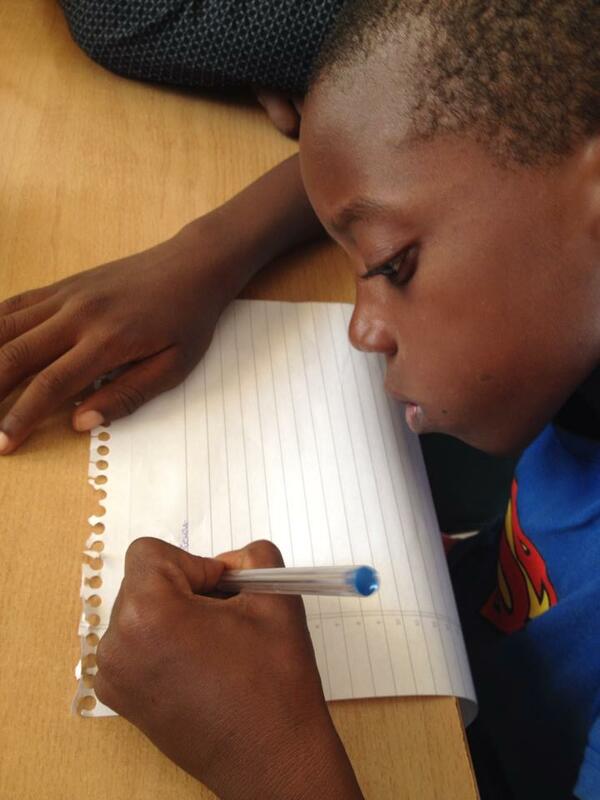 We’re looking forward to an even bigger and better camp next summer that will continue empowering African youth with more opportunities and better STEM education. Big things are on the horizon, so stay tuned! This is the Week 7 Newsletter, the last newsletter for the Colonie de Vacances STEM 2014. Click here to go to the Week 1 Newsletter. Click here to go to the Week 6 Newsletter.